This Soshu Ju Yasukuni belongs to Jyojyo saku ranking. 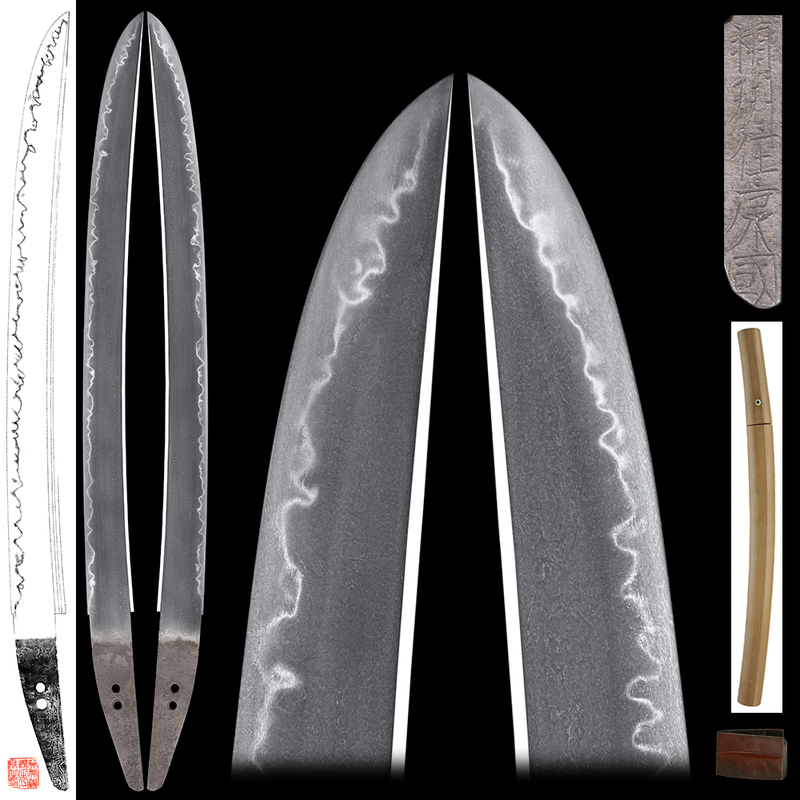 Blade length : 41.3 cm or 16.25 inches. 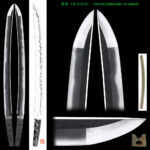 Shape : Rather long Sunnobi with Saki Sori Wakizashi. Special feature : Soshu Ju Yasukuni lived in castle town of Hojo family (Odawara city). He received the Kanji character "康 Yasu" from 北条氏康 Mr. Hojo Ujiyasu. 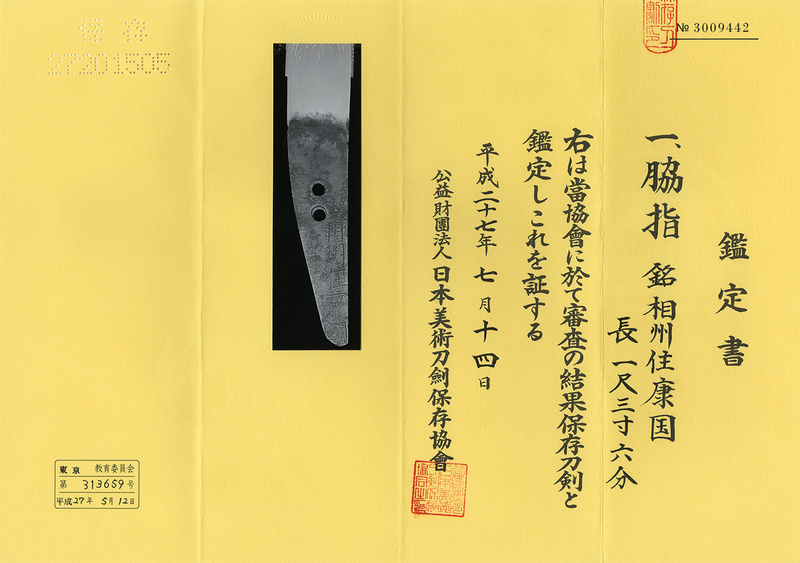 This blade is well grained and visible to see the texture. The rather tight Ha with many Ashi. This is nice blade.